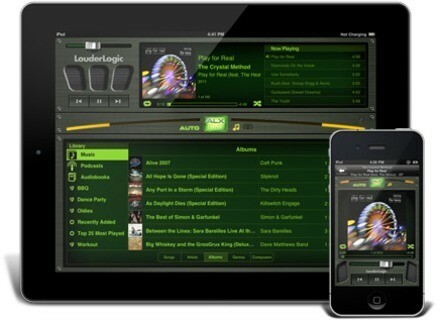 LouderLogic 2, Other software for iPhone / iPod Touch / iPad from McDSP. McDSP iannounces LouderLogic 2.0, now featuring a customizable 4-band parametric EQ. Pentacom Glitch1 Pentacom has released Glitch1, a new app for iOS that chops up audio from your Microphone or Song File in real-time. Sound Magic Dynamic Bundle Sound Magic releases Dynamic Bundle, which contains 2 Neo Effect Unit to handle all dynamic processing.